Learn about the past with our exciting workshops for schools. Many of our volunteers come from a teaching background and are experienced at leading workshops. Workshops are held on Thursdays during term time. To check availability, please call 01873 858787. 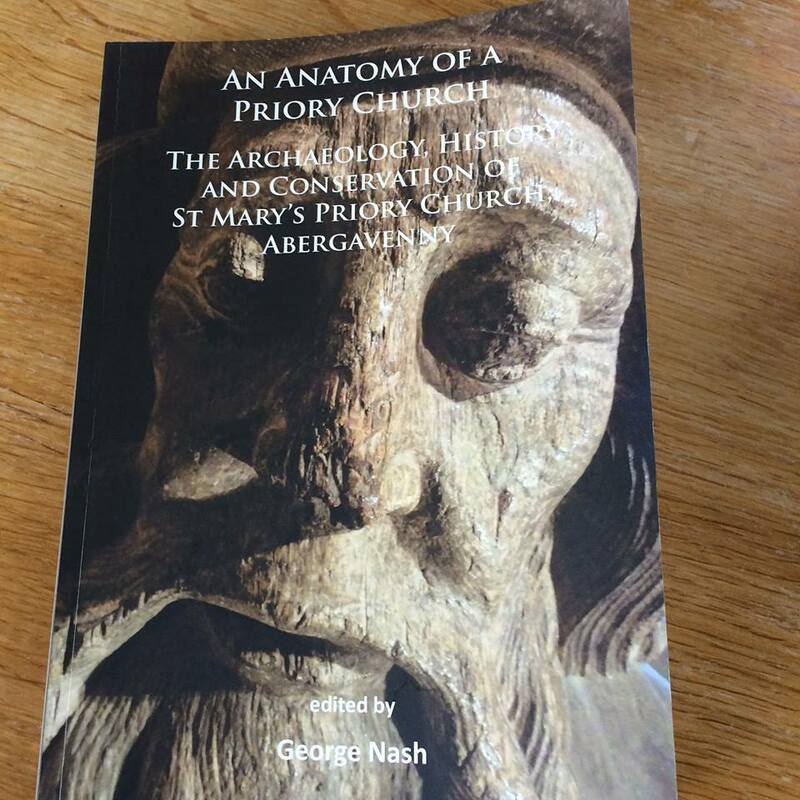 A new book on the history and conservation of St Mary’s Priory including the Tithe Barn is on sale at the Tithe Barn for £29. Great British Bake Off fans unite! Queen of creativity, Frances Quinn comes to Abergavenny to show off her unique style of baking, teaching you how to make Confetti Cupcakes from her debut cookbook, Quintessential Baking. She will also show you how to make her show stopping marzipan bees. Frances Quinn is the winner of the Great British Bake Off 2013. Having studied Textile Design at Nottingham Trent University, Frances worked at design companies in London and Vancouver and most recently worked for Joules Clothing as their baby toddler wear designer. Combining a love of design and baking, Frances produces unique and unforgettable bakes. Learn from the best as Darina Allen of Ballymaloe Cookery School shows you how to prepare the finest local and seasonal produce, with techniques from her repertoire of 40 years of cooking. Darina Allen is Ireland’s most famous cook and has presented eight series of her cookery programme Simply Delicious on television in Ireland. A food writer, newspaper columnist and cookbook author, she also owns Ballymaloe Cookery School in Co Cork. Established in 1983, the school offers a wide range of courses from 12 week professional courses for students who wish to pursue a career in catering, to short courses ranging from a day to a week long on a variety of subjects. This event is sponsored by Cardiff Airport. Learn to put a Vietnamese twist on your favourite recipes with chef patron Wyn Ma from the Green Papaya. And if one great chef wasn’t enough, Wyn will be joined by Cyrus Todiwala. Together they will prepare a summer dish of BBQ Chicken served with rice vermicelli salad. Wyn Ma came from Vietnam to the UK in 1980. After a number of unsatisfying jobs, he decided to follow his passion for food and opened his own restaurant, Green Papaya in London in 2000. Recommended by Lonely Plant, Hardens and Vogue, Wyn has recently opened his second critically acclaimed restaurant in the city. Dubbed the UK’s best Indian Chef, Cyrus Todiwala has regularly featured on BBC’s Saturday Kitchen, and one half of The Incredible Spice Men, Todiwala runs three successful restaurants, having recently opened his first restaurant in India. Author and teacher, he has been awarded an MBE by HM The Queen for his services to education, as well as being named the 2014 BBC Food Personality of the Year. Put down that ready meal and join the DIY movement. Tim Hayward, author of The DIY Cook will give a talk and demonstration unlike any you’ve ever seen. Where else will you hear about trifle, Brazilian stews, stuffed pig feet, crushed ducks and car jacks! Tim Hayward is a food writer and broadcaster. He is the proprietor of the Fitzbillies bakery and restaurant in Cambridge and the author of Food DIY and DIY Cook. Discover flavours from the Mediterranean. Mitch and Mat will cook recipes from their new book and talk about the ingredients and their travels that have influenced their award winning restaurant in Dartmouth. They will use ingredients bang in season in September expect plenty of great tasting seafood. Mitch Tonks is respected as a credible voice and enthusiastic supporter of the fishing industry, having once been labelled by the Independent as ‘a fishmonger for the 21st century’. Mitch has published numerous seafood cookbooks, developed the Eat Fish iPhone app and created the South Devon Seafood Academy. Mitch is also the owner of the award winning RockFish restaurants. Mat Prowse is the brilliant chef and co-owner of The Seahorse. Mat was classically trained and has almost 30 years’ of industry experience, including several Michelin starred kitchens. He was the Head chef at Bath’s Queensberry Hotel and the Olive Tree Restaurant. Take a culinary journey from the Black Sea to Baku and Kiev to Kazakhstan with Observer Rising Star of 2015, Olia Hercules. Promoting her debut cookbook Mamushka, Olia will demonstrate some of her most cherished Eastern European recipes. Ukrainian born Olia is a food stylist and recipe writer living in London. A Leith-trained chef, she has worked as recipe tester and developer for a variety of food magazines, including Sainsbury’s and Jamie’s. Mamushka is out now. Tim Anderson will pass on his passion for Japanese cuisine and put soul into three dishes from his debut cookbook, Nanban – Faux Mentaiko, Mentaiko Pasta and Chicken Nanban. Tim Anderson is a Wisconsin-born chef working in London. Interested in Japanese cuisine from an early age, Anderson went on to study Japanese food history and to live in Japan on a working holiday for two years. Since then he’s moved to the UK, winning MasterChef in 2011. Tim’s first cookery book, Nanban, was published in April and he is also the proprietor and executive chef of the pop-up restaurant Nanban, opening permanent premises in 2015. This will be a second chance to see the Hemsley sisters in action. Jasmine and Melissa will talk about the benefits of bone broth and demonstrate how simple it is to cook a meat and vegetable broth, using lamb from local producer. Join best-selling food writer and pop up chef Gizzi Erskine for a masterclass in some of her insanely delicious dishes to really sink your teeth into. Demonstrating recipes from her brand new book Gizzi’s Healthy Appetite, she will be celebrating her love of food, love of eating, and love of cooking. Gizzi Erskine is an innovator of the pop-up and underground food scenes and has enjoyed success doing live events as well as a being regular face on TV, most notably Cook Yourself Thin. She has published a number of popular cook books including her newest, Gizzi’s Healthy Appetite. As well as contributing regularly to The Sunday Times, this year she has also been announced as one of The Evening Standards 1000 most influential people.